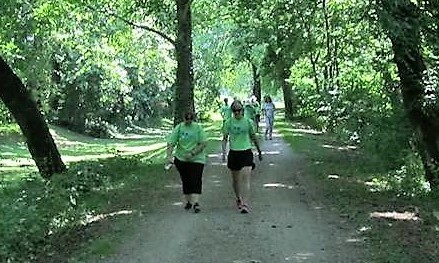 HARC Hike for Hunger & Hope is a non-competitive fundraising event open to all ages. This fully supported hike on the beautiful C&O Canal towpath features 4 K (2.5 miles), 10 K (6.2 miles), and half marathon (approx. 13 miles) hikes, to include everyone from casual to serious hikers and runners. You can look forward to scenic water views, snacks, water & Gatorade refills along the way. All hikes will be along the C&O Canal in Maryland and will end at the beautiful Shepherd’s Spring Retreat Center with a short hike through the woods. All hikes will end at our “Celebration” pavilion where participants can relax and enjoy a delicious lunch and fellowship. Special rates for youth teams of five or more that commit to fundraising at least $100 as a team. Fun for children of all ages with a photo scavenger hunt for youths and a nature scavenger hunt for younger children. Register online or send in a paper registration form (coming soon). You may register as an individual, as a family, or as part of a youth team. We encourage you to invite your friends or congregation members to join you. This is a great activity for youth or church groups! Or make some new friends on the trail. All hike groups are fully supported with “sweepers” to ensure everyone makes it back safely. Register by May 19 to take advantage of our reduced pricing and guarantee your t-shirt. Online registration closes on Friday, June 7. You are not required to raise funds, but your fundraising is greatly appreciated! Set a goal to raise a minimum of $200. Ask friends and family to support you. Raise as much as you can — every dollar counts! Proceeds will benefit HARC (whose initiatives include Micah’s Backpack, early childhood education and well-being programs, work to foster peace and wholeness, and more); and Micah’s Backpack (a program to feed hungry children on the weekends). Collect pledges/donations from friends and family using our Hiker Sponsor Form. Help support the cause while promoting your company or organization! See our Hike Sponsorship Opps 2019 for available levels and benefits. Our hike director has provided a helpful info sheet with all kinds of details about the hike, including logistics, what to expect, and suggested items to wear and bring. Please read it for important info: Hiking Instructions 2019. If you have any questions, please contact the HARC office at 301-842-4272 or kathy.harc@gmail.com or our Hike Director, Ed Poling at 301-766-9005 or epoling1@gmail.com. Check out our Challenge Hike!